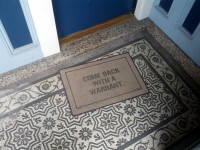 Come Back With a Warrant: How Will the Canadian Government Respond to the Supreme Court’s Reshaping of Privacy Law? Canadian Internet and telecom providers have, for many years, disclosed basic subscriber information, including identifiers such as name, address, and IP address, to law enforcement without a warrant. The government has not only supported the practice, but actively encouraged it with legislative proposals designed to grant full civil and criminal immunity for voluntary disclosures of personal information. Last month, the Supreme Court of Canada struck a blow against warrantless disclosure of subscriber information, ruling that there is a reasonable expectation of privacy in that information and that voluntary disclosures therefore amount to illegal searches. My weekly technology law column (Toronto Star version, homepage version) notes the decision left little doubt that Internet and telecom providers would need to change their disclosure policies. Last week, Rogers, the country’s largest cable provider, publicly altered its procedures for responding to law enforcement requests by announcing that it will now require a court order or warrant for the disclosure of basic subscriber information to law enforcement in all instances except for life threatening emergencies (warrantless disclosures may still occur where legislation provides the lawful authority to do so). Telus advised that it has adopted a similar approach. 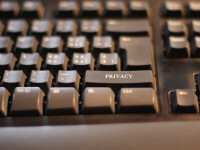 The Supreme Court of Canada’s Spencer decision is still only a few days old, but it has become clear that the ruling has left the government’s privacy and lawful access strategy in tatters. I’ve posted earlier on how the decision – which held that Canadians have reasonable expectation of privacy in their subscriber information and that voluntary disclosure of such information to the police constitutes an unlawful search – blows away the government’s plans for Bills C-13 and S-4 by contradicting longstanding government policy positions. 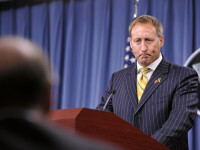 While there are options for the government to establish reforms that are consistent with the court ruling and that would grant police the access they say they need, government ministers have instead adopted a rather bizarre response of saying anything, no matter how inconsistent with prior positions, the court’s analysis, or public comments from authorities such as the Privacy Commissioner of Canada. There is admittedly a track record for this: Conservatives have dismissed privacy concerns from Carole Todd, the Boys and Girls Club of Canada, the Privacy Commissioner of Canada, and many more. Further, the Conservative leader in the Senate claims Spencer has “no impact whatsoever” on Bill S-4. Having had the benefit of a few days to consider the implications of the Supreme Court of Canada decision in Spencer, the Senate last night proceeded to ignore the court and pass Bill S-4, the Digital Privacy Act, unchanged. 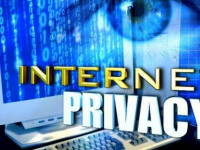 The bill extends the ability to disclose subscriber information without a warrant from law enforcement to any private sector organizations by including a provision that allows organizations to disclose personal information without consent (and without a court order) to any organization that is investigating a contractual breach or possible violation of any law. Given the Spencer decision, it seems unlikely that organizations will voluntarily disclose such information as they would face the prospect of complaints for violations of PIPEDA. 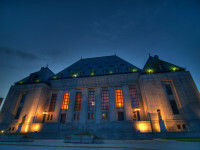 The Supreme Court Eviscerates Voluntary Disclosure, Part 2: What Comes Next for C-13 and S-4? In the fall of 2007, Public Safety Canada quietly launched a lawful access consultation that envisioned mandatory disclosure of customer name and address information. After I posted the consultation online, the department claimed that the consultation was not secret and then-Public Safety Minister Stockwell Day suggested that the document actually contained old Liberal wording. Day promised not introduce legislation compelling disclosure without a court order, a commitment that Peter Van Loan, the next Public Safety Minister, rejected when the Conservatives introduced their first lawful access bill in 2009. This third post on Spencer (case summary, comparison with government talking points) begins with some lawful access history because it is important for understanding what might come in the aftermath of the Supreme Court of Canada’s evisceration of the government’s arguments on voluntary disclosure of personal information in the Spencer decision. The starting point for the voluntary disclosure provisions in Bills C-13 and S-4 can be traced back to the 2007 consultation. Law enforcement complained about inconsistent access to customer name and address information and sought new provisions to make such disclosure mandatory (PIPEDA permitted voluntary disclosure but did not require it). For weeks, the government has been claiming that the provisions in Bill C-13 and S-4 were compatible with the law. Last week, the Supreme Court of Canada disagreed, issuing its decision in Spencer on the legality of voluntary warrantless disclosure of subscriber information. The court ruled that there was a reasonable expectation of privacy with subscriber information and that voluntary disclosure to police may constitute an illegal search. in the totality of the circumstances of this case, there is a reasonable expectation of privacy in the subscriber information. The disclosure of this information will often amount to the identification of a user with intimate or sensitive activities being carried out online, usually on the understanding that these activities would be anonymous. A request by a police officer that an ISP voluntarily disclose such information amounts to a search.